It came to me the other day, two thirds of the way through my children’s novel, fourth draft, that my story was beginning to feel like a full tin of Quality Street, bursting with colour and flavour, instead of a third full tin with left over Strawberry Delights and Orange Creams (you know, the ones no-one wants unless they are desperate and the house is empty of all other sugar stuffed morsels)… those… and that! But full tins of lusciousness don’t happen overnight, or easily, do they? In fact, it was only a couple of weeks ago, during the first half of this fourth draft that I even realised that my story was the third full tin. A few things happened to change that. Firstly, I read a very interesting post of well-known writers’ tips for other writers (which you can read here). There were a few that really resonated with me, those of Paul Theroux, Maya Angelou and Neil Gaiman who says (I have summarised here): “Start telling the stories that only you can tell, because there’ll always be better writers than you and there’ll always be smarter writers than you… but you are the only you.” This really hit a nerve with me as I frequently read other people’s work and think it’s better than anything I will ever produce – huge writing self-esteem is not something I possess, and I think a lot of writers can relate to that. But, as Neil says, it’s the story that matters, and the story in each writer is unique. You know when you have one of those moments, as if someone has poured precious golden liquid inside your head? Well, that! Needless to say, I have pasted his words on to my desktop to remind me, in those darker moments, that all I have to do is tell my stories. Having recognised that I needed to tell my story, I began to wonder what was holding me back from doing so with this current work in progress. I couldn’t quite put my finger on it. There was something missing. Actually, there was more than one thing missing. I had confidence in the concept, I had confidence in the plot… but there was something else, and it was blooming frustrating because I couldn’t for the life of me work out what it was. During the above, I’d been re-watching the Harry Potter films over a period of evenings. 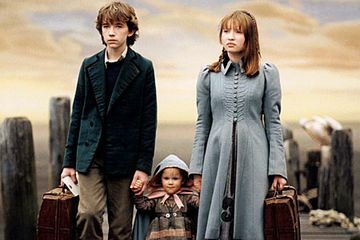 Following these I watched another film – Lemony Snicket’s – A Series of Unfortunate Events. I had a light bulb moment. Actually, I had two, and both were to do with character. Now, normally, my stories are character driven and initial ideas stem from a strong sense of character. Suddenly, I realised that this hadn’t been the case with this story. Of course! Didn’t I say I was happy with the concept and the plot? What I realised, from watching these films, was that my protagonists were too two-dimensional, and there weren’t enough characters in the story for them to relate to and for the reader to see more of them through. The realisation that there weren’t enough characters came from watching the Harry Potter films. I read the books a long time ago, but here’s a thing – films give you something else. We tend to compare films to books and think that the film of a book is inferior to the book (it generally is), but what I realised when watching these films is that we can see the character types clearly and, as a lot of the detail is removed, we get to see the way characters relate to one another. I also watched ‘The Hobbit’, and realised how much the action depended on character interaction – it suddenly seemed to jump out at me. With the detail stripped away and plot and characters laid bare, I realised – I needed more characters! A few days later I watched the Lemonny Snicket film. I haven’t read the books, so I only have the film to go on, but when I watched it I had my second light bulb moment. If you haven’t seen it, the story begins with a bit of back story to the three main characters – Violet, Klaus and Sunny Baudelaire -a brother and two sisters. Incidentally, my story’s protagonists are a brother and sister too. The narrator also tells the listener that the older sister is an inventor – she can invent anything and ties her hair back when an invention is brewing. The brother is obsessed with books and can remember everything he reads, and the baby sister bites – anything – with her four teeth! Straight away, these characters are defined. They are instantly three-dimensional. They are recognisably ‘them’. Remember Neil Gaiman’s words – there is only one you? Cue second light bulb moment! 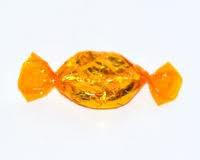 Needless to say, the tin of Quality Street is filling by the day, and there are even some of my favourite Toffee Pennies in there! The above also inspired me to put together a few writing tips. Again, as mentioned earlier, there are loads of better and more experienced writers than moi, and some of the below suggestions may be blatantly obvious, but there might be one or two in here that help inspire. I hope so anyway. ● Read – you know why. ● Write – and you know why again! ● Research – even when we think in our heads we know something, maybe we don’t. I had to do a fair bit of research on horses for my current children’s novel. Some of the detail which I thought I had got right, I hadn’t, one bit of which affected the whole scene which had to be re-written. Yes, get your facts right! ● Watch films – (see above) film adaptations of books are especially helpful. The action and characters are emphasised so that you can almost see the skeleton of the writer’s story. There’s a lot of story-writing clarity to be gained from watching a film. ● Use Pinterest – never underestimate the story ideas that you can get from visual images. You can begin with an idea, a concept, then haul through Pinterest for images that fit in with your concept. You will find yourself with a whole host of new ideas for characters, settings and situations. It’s a marvel! ● Use a Dictaphone – writing is thinking put on paper isn’t it? Thinking is the hard work and the most fun part, where the ideas and problems and questions take place. Rambling into a Dictaphone is a great way of recording some of those thoughts, the ones that would slip away otherwise. I have been experimenting with this for the above manuscript and highly recommend it. Plus, you get to hear what you sound like – weird! ● Read blog posts from other writers – other writers’ blog posts are inspiring (see another post on the influence of films on writing from Julia Munroe Martin here.) They also help you to feel part of a community of writers, and they are often full of hints and tips. Plus you get to see other writers’ experiences. We can learn a lot from them. ● Get out and about – I don’t mean writing in other places, although I would recommend this – I find station platforms and trains particularly inspiring – just get out and ‘be’… walk, go on a swing, drive somewhere you’ve never been before – it’s amazing how ideas will spring up when you free your mind from the clutter of everyday life. ● ‘People watch’ and listen – sit in cafes and stare rudely at people, listen to their conversations, look at what they’re wearing and how they communicate with one another. Think about how their spoken language and interaction could be written down. ● Pursue other creative activities – by immersing yourself in other creative pursuits you harness other areas of your creativity – paint, draw, take photos, play music, garden – all of these give you head space from the words, but you’ll find writing ideas can blossom in those moments. 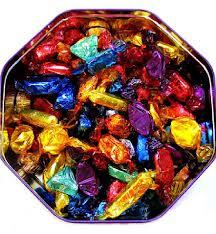 ● Fill your tin of Quality Street – and don’t stop and don’t submit until you have! Which films have particularly inspired your writing? Thanks, Jenny – really pleased you enjoyed it. Fantastic post, Abi! And I love your writing tips. This is cheating a bit because it’s a TV series rather than a film, but I’m watching Breaking Bad at the moment and it’s teaching me SO much. The storytelling is absolutely exquisite, pushing the plot to the limits of what’s possible. Yes, it’s dark, even grim at times, but I can honestly say it’s some of the best writing and characterisation I have ever seen! Thanks, Em. Really? I’ve seen stuff about it but haven’t watched it – I may have to now – it sounds fab! Great post, Abi. I really enjoyed it. As a writer who has just begun doing some of the things you mention (started pinterest last night, for example, and blogging/reading writer’s blogs last week) I find it amazing how much I didn’t know I was missing until I dove in. As films based on books go, I’d like to recommend Judy Moody and the (not so) Bummer Summer, which my 8-year-old and I both adored. I’ve also always loved Anne of Green Gables – even if I do pick it apart for deviating from the books! Hi Katy, thank you! So glad you enjoyed the post and that you’re getting so much from delving in to all these areas. You’re right, you really don’t realise how much you’ve missed do you? My dort has read Judy Moody but I didn’t know there was a film of it. I’ll have to keep my eye open for that, and the other one you mentioned. I agree with you with A of GG – one of my faves! Thanks Abi. Although your posts are less frequent now I always surf in to check out where your mind is at. I agree about strong characters. There is a certain kind of SCI-FI that I enjoy … the one’s that don’t lean on the special effects, but that trick you into thinking its all about future possibilities when it’s actually about humanity, people and relationships. I like some sitcoms where the characters are so strong that it seems you just need to inject a new challenge or idea for them then just sit back and watch it all unravel. For example Fawlty Towers or One Foot in the Grave. With comedy there is a delight in seeing what is going to happen just before it does.and with strong characters you just know how they will react when they find out what has been gong on. I have some experience of script writing sketches for a character I created and found that, just like a good sitcom you just choose a new theme and it writes itself – easy (once you’ve done the hard work of forming and maturing the character) But to get back to movies Brazil and Son of Rambow are inspirational for me. Hi Martin! Aw, it’s so lovely that you still drop by and I really appreciate it – thank you! I agree with completely regarding comedy drama – I was bought the Butterflies box set for Christmas (I loved watching it as a kid) and the writing is faultless and the characters, just as you say, seem to sit back and wait for things to happen. I’d love to try my hand at scriptwriting so am very envious – not enough hours in the day, but maybe one day. I haven’t seen either of those films, but I may have to now. Thanks again. Hi Catherine. Glad you found the post useful. Yes, Pinterest is fab isn’t it? Hope it helps inspire some wonderful ideas. Great tips, I loved reading the whole post of tips a little while ago, very helpful! I love going through my second, third and fourth etc drafts…the process of fleshing out, cutting, and alterations is so fulfilling as you see your ideas come to fruition! I don’t have favourite movies to help with writing, but watching an eclectic mix helps us see so much – good and bad! It’s the same as reading lots, getting outside and seeing life etc…everything you experience adds to the richness of what you can relate to and what you can write! Re-drafting is great isn’t it? It becomes more and more fun the further on you get, I think. And yes, I agree, writing is a cacophony of what happens inside our heads and on the outside, isn’t it? Hi Abi! Thanks for sharing your head with us again – you always write from the heart. In a similar way I realised something was missing from my current WIP & I’ve been avoiding it like some old ex, and you’ve helped me know why – you clever girl! HUMOUR! That’s what’s missing. My new MS (I say new – rather I’m re-writing my first ever written piece) is different from the others I’ve written – and enjoyed writing – writing where I found my voice, and that voice is full of humour. But this new MS is so different – more serious – and I’m not enjoying writing it! Probably because it was my first ever piece and I have since found where my voice lies, but I want to write it because I love the plot! Do you find your voice is present and similar in all of your works? Can one write a totally different piece in a totally different voice? Probably great writers can. I am so confusled. Never heard of Pinterest so am intrigued… off to check it out. The girl has taste – toffee pennies – first out the tin! Hi Wendy. What a lovely response… thank you 🙂 It is strange when you move from one genre to another isn’t it? In answer to your question – no, my voice is different in everything I write because my voice is the voice of the protagonist and because everything I write seems very different to everything else I write. However, I love rhythm in writing (comes from my love of poetry and spending years writing it, I think), and I think that comes through in everything I write – at least I hope so. 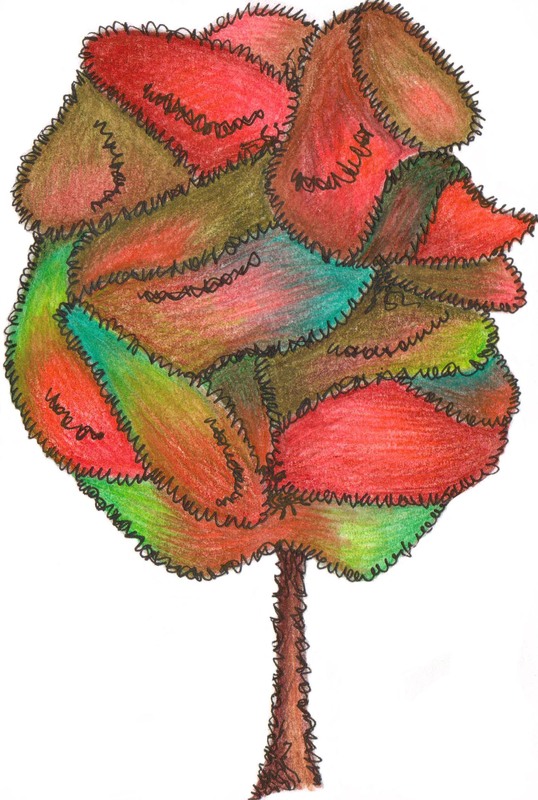 I like writing to be beautiful, whatever the subject matter, so maybe this IS part of my voice. It is complex isn’t it? Oooh, let me know what you think of Pinterest – I love it! Hi Abi. Thanks for responding. Oh it is! But because my mind has taken me on a different path I want to follow it, but am hesitating because it is so unfamiliar. Such a relief to hear you say that – it was something I was getting confused over. Like you say – COMPLEX! Yes, I know what you mean – in one way there are similarities that ID oneself and one’s loves but they can be very different in another way. I was fascinated when I entered the world of Pinterest! Didn’t have a clue such an unusual site existed. Me and daughter went straight onto cats and it was a stream of OOH AAAH CUTE SWEET! What have you done Abi B?! Haha! Ohhhh dear 😀 Pinterest is fab isn’t it? I have secret boards for my writing current works in progress, which I love. And I love that you can write notes next to them! I will have to try to find you on there! Yes, it’s scary taking a different path isn’t it? A foot into the unknown – very exhilarating though and I think it strengthens your writing, and removes your comfort blanket for a while.